Home Tags Posts tagged with "jean kasem"
DJ Casey Kasem’s body is to be moved to Oslo, Norway, according to reports in the Norwegian newspaper VG. 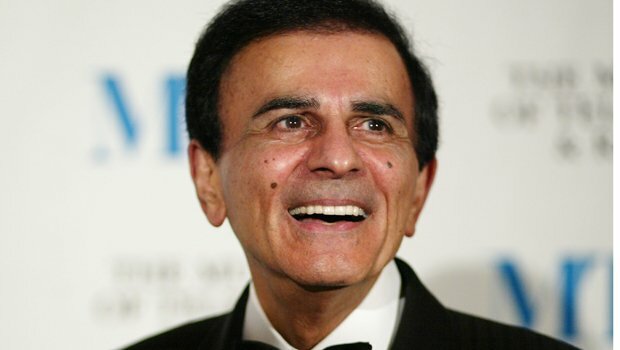 A Norwegian government official told the paper an application had been made to bury Casey Kasem’s remains in the city. His body was moved by his wife, Jean Kasem, to Ontario in Canada after he died, aged 82, in Washington state in June. Casey Kasem’s children from a previous marriage say his remains are being kept from them by their stepmother. Jean Kasem and children have been in dispute over his body since his death. Casey Kasem’s daughter, Kerri, has accused Jean Kasem of abusing her father before he died. Kerri Kasem wants a full autopsy to be performed on the body. The abuse allegations are being investigated by police in Santa Monica, where Casey Kasem had been in hospital before his death. Kerri Kasem’s spokesman, Danny Deraney, told Billboard it was not clear what Jean Kasem planned to do with her husband’s remains. “We just know that she wants to keep Casey away from family and friends and by the looks of it, [is] hiding from law enforcement,” he said. If Casey Kasem is finally laid to rest in Norway, it will be the end of a journey for the man who was the voice of Shaggy in the TV animation, Scooby Doo. In May, Casey Kasem – who had been suffering from dementia – was taken by his wife from Santa Monica to Las Vegas and then to Washington state, where they were tracked down by a private investigator working for Kasem’s children. After Casey Kasem’s death his body was then moved to Ontario, despite a court order designed to prevent his remains being removed from a funeral home in Tacoma. Now it appears Oslo may be the body’s final stop. However, Casey Kasem’s son, Mike, said his father had no connection to Norway. “I don’t know if Jean has any ties to Oslo. She certainly has never mentioned it in the last 35 years,” Mike Kasem told Billboard.